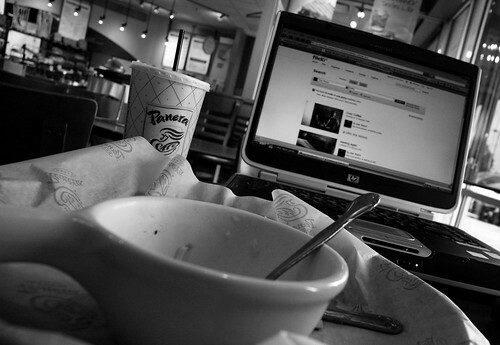 I love Panera. Decent food and coffee and they have free wi-fi. Yesterday was a long day of work away from the fam' (such days are not too common) so I wound up eating dinner alone at Panera in between meetings.